Posted in "Help: High rise stem?" Fireeye Stoker fork just refinished with matte black powder coat. 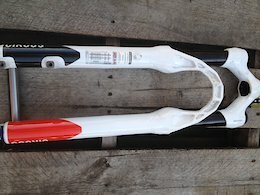 Similar to the Identiti rebate fork. Posted in "Can you mount a back disk brake on the “inspired element”?" 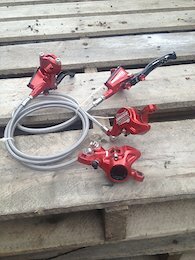 Posted in "Akron, Ohio or surrounding areas"
Thomson stem for sale in excellent condition. It is the older 25.4mm clamp & 110mm x 10 degrees. I miss this steerer clamp system, it was the best design I've seen, but Thomson changed when they went to went to 31.8mm handlebars.